It's been said there's no such thing as bad publicity, but when the stars of your own show give it a thumbs-down, that might be the exception. 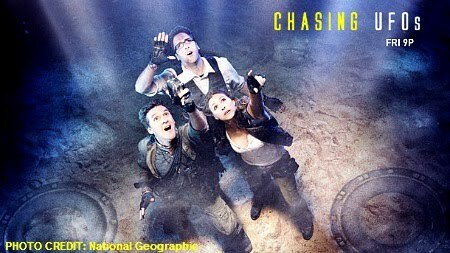 The National Geographic Channel premiered "Chasing UFOs," an eight-episode reality TV show last month, focusing on a trio of investigators traversing America in search of the truth of unexplained UFO reports, alleged alien abductions and reported military cover-ups. On the heels of less-than-positive reviews and viewer comments, two of the show's stars -- James Fox and Ben McGee -- revealed their own dissatisfaction with "Chasing UFOs," complaining that the show had placed more emphasis on entertainment value than a serious look at the UFO subject. . . .